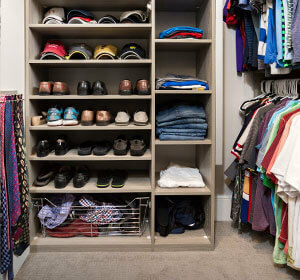 Looking for a better functioning closet, but don't know where to start? 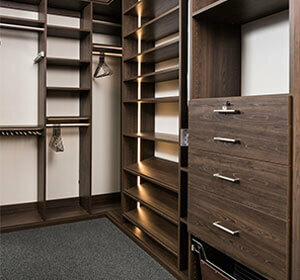 Well at Beyond Storage in St. Louis, we are a custom closet company that designs, manufactures, and installs closet systems to fit your needs, taste and use of the space itself in a way that will leave your home looking much more organized. 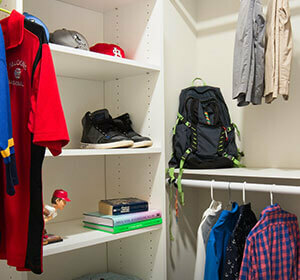 Unlike other custom closet companies in St. Louis, our professionally trained design team will help you think outside the generic closet and create a space that effectively utilizes shelving, drawers, hanging features and other accessories to get the most out of your space. This way, your belongings will be stored efficiently and your space will be easy to navigate. We also offer a variety of closet types and lay outs depending on the kind of home organization you're looking for and any other personal needs you may have. 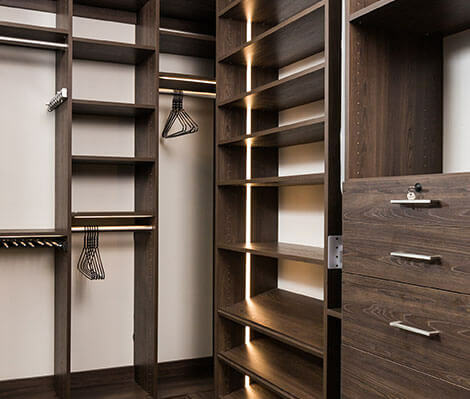 Check out our gallery of closet systems that we've installed for several homes below to get inspiration for your next home organization project. You'll be able to view many styles and designs and see all the spaces we've been able to transform. 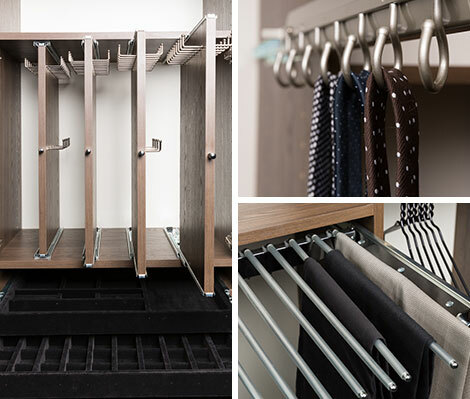 No matter your preference, we offer a full line of closet systems that will work with the layout of your home. 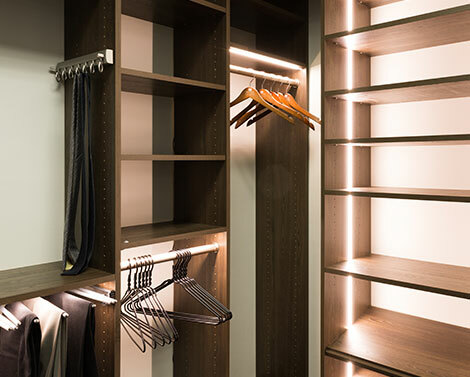 Each type of closet allows you to select custom features and finishes, so once you've selected the type you need, our designers will work with you to create a complimentary 3D rendering, so you can see with your own eyes what the new closet system will look like in your home. 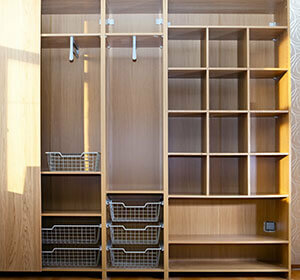 As a custom closet company with over 30 years experience in St. Louis, we’ve spent decades learning how best to serve the closet storage needs of our customers. That is why all of our closet systems are backed with competitor price matching, and also come with a homeownership guarantee to ensure you receive the best price available and the peace of mind that comes with a quality manufactured and installed closet. As a premier custom closet company in St. Louis, we are ready to take on your new closet project. Call us today at 314-997-0150 or fill out our free design consultation form.